Close to 10% of the competitors have already arrived in Brazil and many are housed in the village, though the shoddy conditions – which include flooded floors, broken elevators, mould and holes in the ceiling – have shocked some team managers, athletes and volunteers. The organisers promise to resolve the problems by Thursday, but in the interim the Australian team has decided to temporarily rehouse its athletes. The Dutch and Italian teams have also complained and hinted that there may be demands for compensation. The towers cost a shade under $1 billion to construct, and the construction firm planned to sell the apartments after the Olympics concluded. 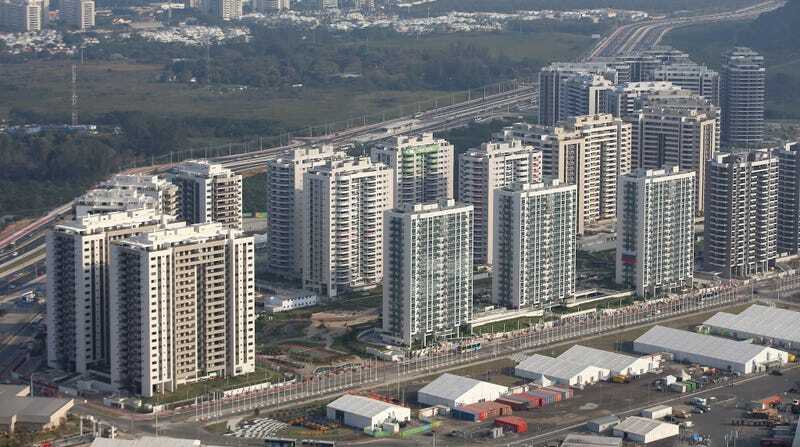 However, the Brazilian economy is in the toilet (the Brazilian real has fallen 20 percent over the last year), and less than 10 percent of the apartments have been successfully pre-sold. The Italian team has come up with a rather creative solution to their uncompleted rooms, and have contracted out workers on their own to finish up construction.